A Chinese billionaire with ties to China’s ruling Communist Party paid tens of thousands of dollars to have lunch with the leader of the Australian opposition party in October 2015. Property developer Huang Xiangmo paid A$55,000 (US$43,360) to have lunch with Bill Shorten, the leader of the Australian Labor Party (ALP), on Oct. 5, 2015, reported the Australian Broadcast Corporation (ABC) on Tuesday. Payment of the donation was made on October 20, 2015. The national broadcaster reported that Huang appeared at a function with Shorten that was set up by an ALP fundraising team. The lunch was held while Shorten’s party was in the middle of opposing a large trade deal between China and Australia. The ALP leader at the time faced union opposition to the China-Australia trade deal and public opposition from some members of parliament within his party concerned about Australian jobs. The ABC reported that they understood that the trade deal was discussed during the lunch. The ABC reported the donation was divulged to the Australian Electoral Commission but its details were unknown until a local Sydney council required Huang’s company, Yuhu Group, to name the donation’s benefactor as part of the application process for a multi-million property development application. In a later report, the ABC further revealed the extent of money paid on 13 separate occasions by four companies owned by Huang to Australia’s two main political parties, the ALP and the ruling conservative Liberal Party. The donations ranged from A$10,000 (US$ 7,500) to A$55,000 (US$ 41,400). An earlier report by Fairfax Media said that the Australian Security Intelligence Organization (ASIO) in October, 2015, had warned the country’s three main political parties about Beijing’s interference in Australian politics using considerable financial donations. At the briefings, the head of ASIO Duncan Lewis reportedly told party officials — including the then ALP national secretary George Wright — that the country’s security service was alarmed about Huang’s murky ties to the Chinese Communist Party (CCP). It is not clear if Wright told Shorten of these details but ASIO personally briefed Shorten on their concerns over CCP interference in Australian politics in late 2016, months after he also visited Huang’s luxurious Sydney home in March that year to seek donations for an advertising campaign. Huang is a person of interest to Australian intelligence services because of his connections to the CCP, including how he was, until very recently, the head of a Sydney organization Australian Council for the Promotion of Peaceful Reunification of China which has links to the United Front Work Department — a CCP political lobbying and propaganda agency. Huang is also on record telling a Communist Party newspaper that “political demands and political donations” should be linked. According to an analysis by the Melbourne Law School Dollars and Democracy Database provided to The New Daily, political donations with links to mainland China represented 79.3 percent of all foreign donations. The analysis reported that between 2000 to 2016, Chinese nationals and entities have donated over A$12.6 million (US$9.5 million) to the Australian political process. 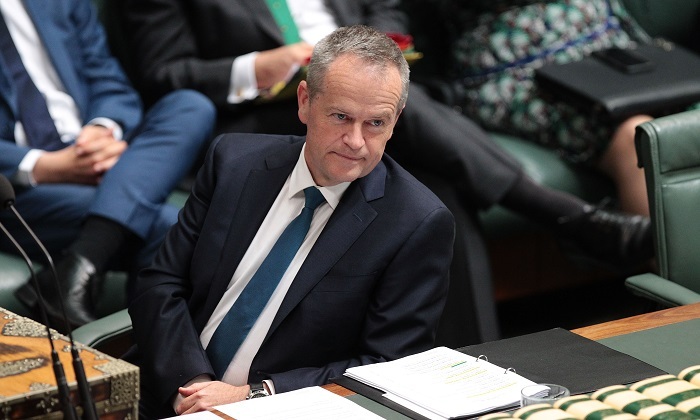 Also, researchers found that in this period of time, Labor’s political bodies were more popular with Chinese donors, receiving A$7.3 million (US$5.5 million) since 2000-01, and the Coalition receiving about A$5.4 million (US$4.0 million). From companies and associates linked to Huang, Fairfax stated that since the 2015 ASIO briefing, the ALP has taken A$141,000 (US$107,000) in donations. The coalition parties — the Liberal Party and the Nationals who currently run government — had also reportedly taken money. The Liberal Party took A$122,960 (US$93,500) and the Nationals A$15,000 (US$11,400) from those suspect sources. The revelations made by the national broadcaster come amidst extensive media coverage of Beijing inference in Australian political affairs that resulted in the resignation of ALP senator Sam Dastyari on Tuesday. Dastyari’s own murky ties with Huang have been exposed by the media through the year. Among the media reports, Dastyari allegedly visited Huang at his home last year and warned the Chinese billionaire that his phone was likely being tapped by intelligence services, including those of the U.S. government. Dastyari — who is seen as a factional ally and confidante of Shorten’s — has denied the allegations. The senator also received negative press over a 2016 speech where he publicly backed Beijing’s aggressive moves in the South China Sea. His comments, made while standing next to Huang, were the complete opposite of his party’s policy on the issue. Fairfax reported that Dastyari’s comments occurred a day after ALP defense spokesman Stephen Conroy openly criticized Beijing’s territorial claims in the South China Sea. Conroy’s criticism resulted in Huang informing the ALP that he was withdrawing a promised A$400,000 (US$303,900) donation for their 2016 election campaign. Dastyari also had a private bill paid by Huang’s company and acted on Huang’s behalf in attaining Australian citizenship, a process that ASIO put on hold due to security concerns. Among other reports was how Dastyari allegedly pressured his own party’s foreign affairs spokeswoman, Tanya Plibersek, not to see a democracy activist in Hong Kong, reported Fairfax Media on Monday. The ongoing media reports have also resulted in the federal government introducing tougher foreign interference laws.